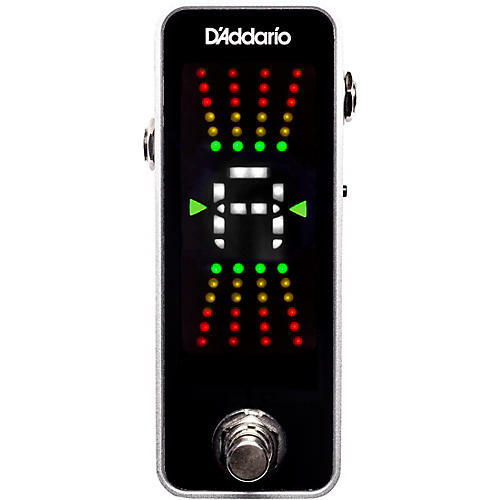 The D’Addario Chromatic Pedal Tuner is the perfect combination of innovation, simplicity and style. Housed in a rugged aluminum enclosure, the tuner features fast note detection, superb accuracy, wide calibration range and true-bypass wiring with an easily accessible foot switch. The tuner’s full-color vertical display allows for quick intuitive tuning at home, in the studio or on stage.